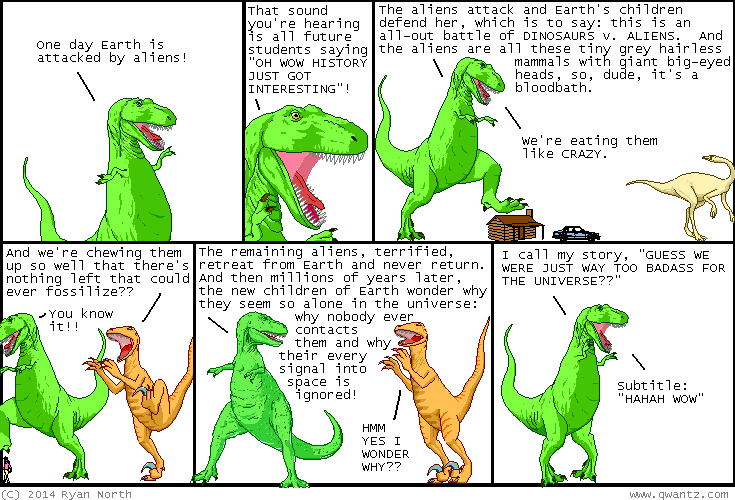 Dinosaur Comics - June 18th, 2014 - awesome fun times! –Instead of my skin being green, it's purple! !